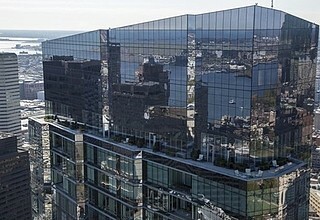 Midtown Boston, or Downtown Crossing as it is more commonly known, has transformed in past decade, and will continue to evolve for the years to come. Once desolate at night, Downtown Crossing, now features fresh restaurants, new bike racks, and improved street lights, transforming the area into a 24/7 destination. One notable improvement is the new flagship Walgreens, spanning 24,000 square feet and complete with a juice bar, fresh hand-rolled sushi, fresh produce, a nail salon, and a café. Across the street from the Walgreens is the true archetype of Downtown Crossing’s Renaissance – Millennium Tower. Formerly a crater left on Washington Street by the former Filene’s building, this parcel has morphed into the site of Millennium Tower. 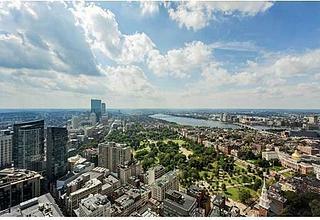 At 625 feet and 56 stories, Millennium Tower will be the 2nd largest tower in Boston, and will offer 450 condominiums. Registration for sales starts May 1, 2014 – contact an Advisors Living agent for more information. 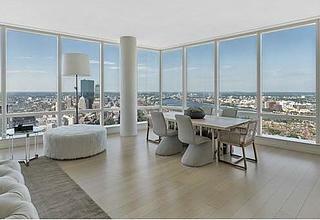 Millennium Tower isn’t the only option for those in the market for a luxury condo in Downtown Boston. 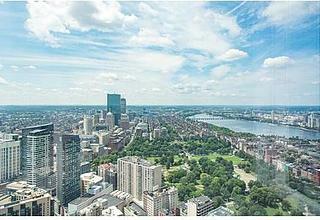 45 Province offers stunning city views and high end finishes, as does Millennium Place. 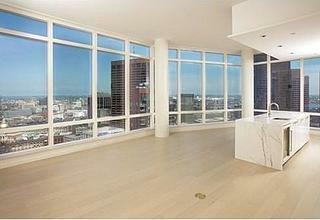 If renting a home is more your style, a luxury apartment at Radian or The Kensington could be for you. Both buildings are new construction with unique characteristics and upscale amenities. We invite you to peruse our luxury building pages, or simply give us a call so we can find your ideal Downtown Boston home.